Our fourth issue of Leading Edge focuses on fueling the passion of the next generation of pilots and aviation professionals. We’re thrilled to feature the story of Shaesta Waiz, who recently completed a world-record setting flight to inspire young women to pursue careers in STEM and aviation. In this issue, you’ll also find articles on emerging aviation careers, interviews with pilots, and helpful tips for maintaining and protecting your Hartzell propeller. Want a print copy of Leading Edge? Visit our booth at an upcoming event to get a limited edition copy of our fourth volume. 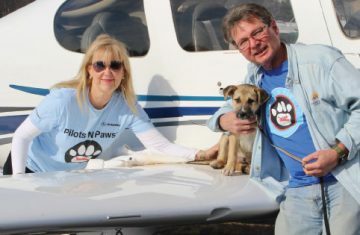 Volunteer pilots around the country are using their passion for flying to help others in need. 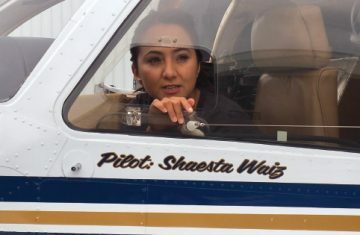 Shaesta Waiz recently became the youngest female pilot to circumnavigate the globe in a single-engine aircraft to promote women in STEM and aviation. 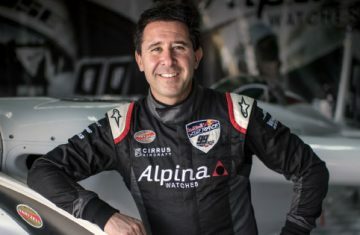 Congratulations, Red Bull Air Race Champion! After a historic win in the series’ opening race in Abu Dhabi, Michael Goulian is at the top of his game. Operating an aircraft in need of a propeller replacement or overhaul can be a dangerous risk. Here are some signs it's time to replace your prop. Discover the history behind one of the most fascinating periods of aviation history. Engineering the first successful aircraft propeller with a twisted airfoil design. The aviation industry is beginning to adopt the technology as a cost-effective and useful tool for flight simulation. Simple steps you can take to protect your propeller’s paint and extend the life of your blades. Tips to ensure your introductory flight is as comfortable and enjoyable as possible. Learn the advantages of constant speed props. Successfully building and flying a homebuilt aircraft can be among a pilot’s greatest accomplishments. Ask yourself these questions first. Hartzell has assembled a worldwide network of RSFs to serve you. Find your RSF here. Learn the history of a service nearly as old as aviation itself. Find out why now is the perfect time to turn your passion for flying into a career. We're shining a spotlight on an aircraft that rules the skies: the Beechcraft King Air 350.